We sometimes tend to put on hold doing the things that we love so that we can focus more on what’s happening in front of us – such as working, spending time with our family or catching up with friends. And the thing that we love doing the most gets pushed further aside that it seems like a far-fetched dream impossible to reach. But sometimes, all it takes is a little nudge from a friend or a stranger in order for us to get back to doing the things that we love the most. 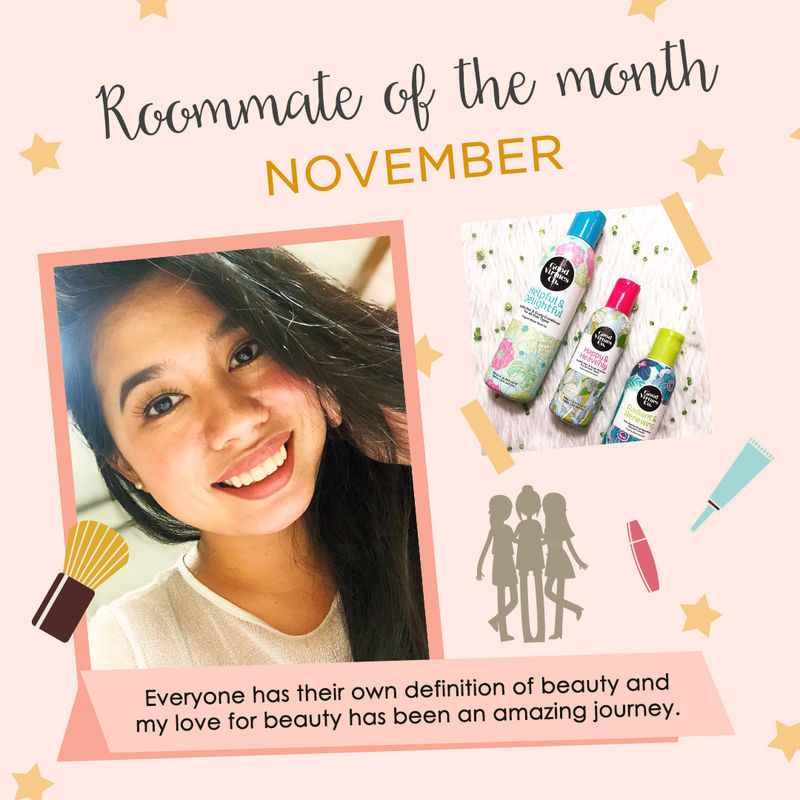 For Thea Sanchez, our November #RoommateOfTheMonth, she had to put aside her love for sharing her beauty know-how in order to focus on her career as a dentist and cope up with the responsibilities that come with adulthood. But with the constant push from her family and friends to share her knowledge on makeup and skincare, she found her way back to sharing new beauty discoveries and learnings from the products she got from Sample Room and using Instagram as her platform. Let’s get to know more about Thea and her Sample Room journey as she answers a few questions from us: ABOUT THEA 1. Tell us about you and your love for beauty. “Everyone has their own definition of beauty and my love for beauty has been an amazing journey. I was a girl who never cared for my skin to someone who puts it in top priority. I suffered from severe acne before because of puberty and bad choice of products that I use. It definitely lowered my self-esteem and it has completely changed my life. One day, I told myself that instead of crying over spilled milk, I should start looking after my skin and be more careful and keen with the products I use. From then on, I have always believed on how important it is to always look my best because when I look good and I feel good, I feel like there is nothing that could stop me from slaying my day. Of course, beauty does come from within but it’s different when you feel more confident, more happy and contented with yourself.” 2. When did you start and what inspired you to share your beauty finds on your social media accounts? 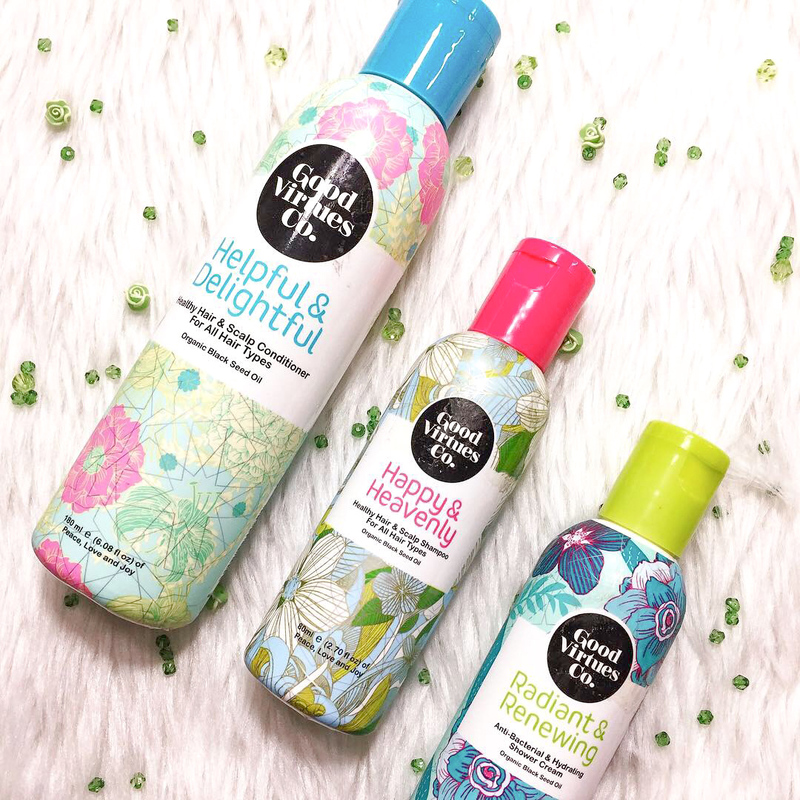 “I have always loved anything related to beauty or skincare finds! I loved how I can find products that do great for my skin and really love how I could share this knowledge with my friends and family. I started sharing my beauty finds again this year when I was constantly asked about my recommendations on products that my friends wanted to try. I used to upload videos on my YouTube channel but had to stop since I got busy with work and all the adjustments on being an adult. Now that I am more stable with my schedules, I get to upload videos and blog posts again. But this year, Instagram has always been closest to my heart since I loved how I can interact with a lot of my friends there. And I love the concept of having one picture tell a thousand words. It has become a venue for my short reviews and insights on life or products that I would recommend to any of my friends and family.” 3. Who are the bloggers that you look up to? “1. Heart Evangelista - for me, she is like an epitome of beauty, class, and elegance. I look up to her since she is a very well rounded woman and she shares the same passion for art. 2. Xenia Adonts - she is so cute and bubbly with a little bit of edge and sass! I love her personality; she is one of the bloggers I do look up to. I also love how she inspired me to hustle since she is a one-woman team, doesn’t have a manager or a team but she handles everything so well! 3. Ame Beverly - one of the kindest and sweetest people with an amazing travel feed. Her travel feed is definitely goals.” ON HER BEAUTY ROUTINE 1. Share with us your skincare routine! “Skincare used to be a very big part of my daily life because I used to do the 10-step Korean Skincare but it really didn’t do good for my skin especially with our weather. Now I’m sticking to the basics which are exfoliating, double cleansing, using an essence toner, eye mask/cream and sunblock (during the day). I believe that my double cleansing is one of the reasons why I have clearer skin. I highly recommend this step to all my fellow roommates out there, just don’t use harsh cleansers and be keen on the ingredients on the products you use.” 2. How about your makeup routine? “If I feel lazy, I usually skip foundation and just use sunblock, blush, mascara/false lashes and of course my eyebrow gel product because kilay is life. If I do glam up, I usually use my Elroel Blanc Pact together with any foundation, together with my lazy makeup days routine with an extra contouring and of course an interesting eye look with a sharp cat eye. If I do go extra, I really go super extra.” 3. What are the top 5 beauty products (skincare and makeup) that you can't live without? “My first on the list would definitely be the Pyunkang Yul Essence Toner, I swear by this line and I love their products so much. Second would be the Elroel Blanc Pact, it gives my skin the best glow I had when I do my makeup! It’s amazing! Third would be my 3S Pre-glued Lashes. I love Whispering and Delicate, usually wear either depends on my mood. (Fun fact: first found this product in Sample Room) Fourth would be any lip product, current fave is my Maybelline Super Stay Matte Lipstick in Seductress. Fifth would probably be Anne Clutz makeup brushes, definitely makes my makeup routine so easy every time!” ABOUT HER SAMPLE ROOM JOURNEY 1. When did you first find out about Sample Room? “I found out about Sample Room a year ago but didn’t believe in the system. I saw them again this year because a friend told me again. Since I’m into blogging again I should try them out this time, more religiously. I took a leap of faith and now I know I’ve made one of the best decisions this year. It has opened my door to a lot of opportunities and I couldn’t thank Sample Room enough. I can’t even believe that I got chosen as the Roommate of the Month despite knowing that there are a lot of wonderful roommates out there! It’s really an amazing journey and it’s just starting!” 2. How did Sample Room help you in your journey into the world of skincare and makeup? 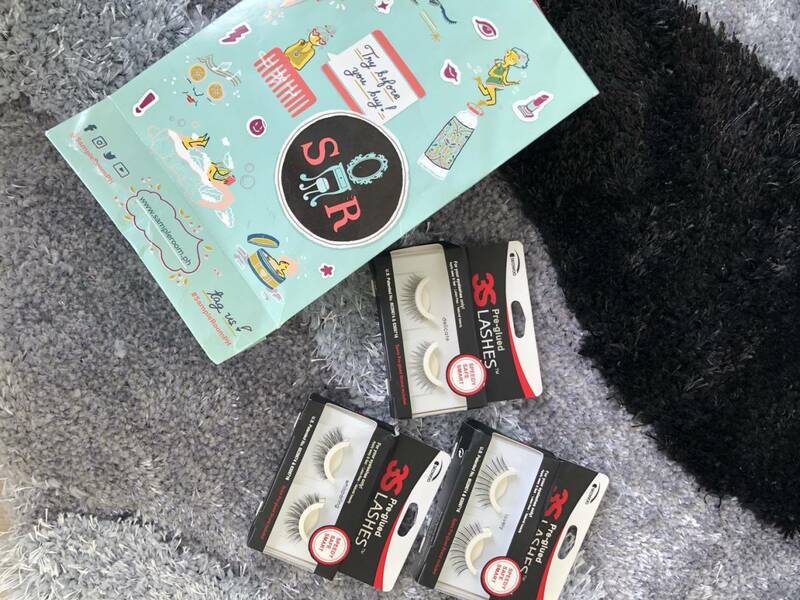 “It made my life more interesting since I am not the biggest fan of splurging for these items every time so their #TryBeforeYouBuy concept allowed me to experience a whole lot of products without shelling out a lot of cash. I’ve found a lot of interesting products too which I have purchased and interesting enough my friends also did purchase.” 3. What were your best finds that you discovered through our site? 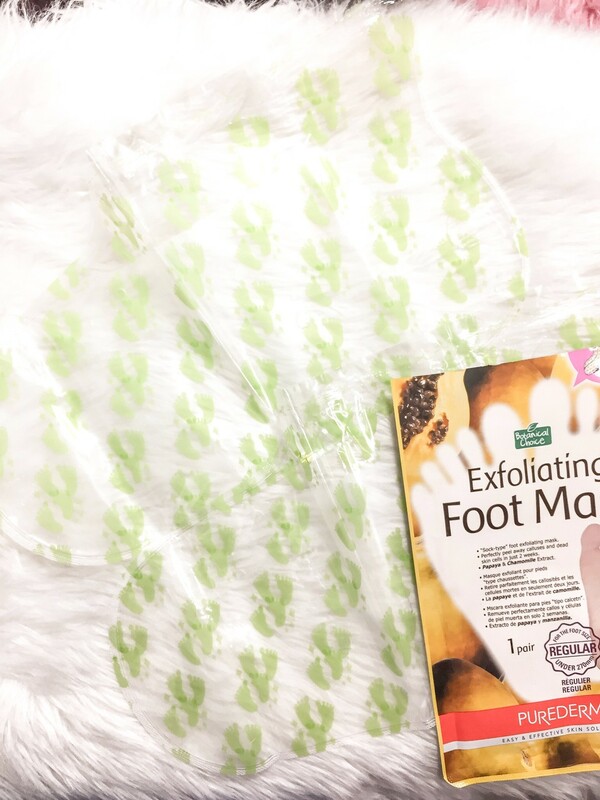 “This is hard since I’ve loved quite a number but maybe some of my current favorites would be the: 3S Pre-glued Lashes (Whispering and Delicate), Purederm Exfoliating Foot Mask, Gluta-C soaps and the Good Virtues Co. Shower Cream.” 4. Do you see yourself still sampling in Sample Room in 3-5 years? “Yes, of course! I love the idea of how I can try products before buying the entire pack. It’s amazing how they are now having more variety in the samples we get to try. And it is also a wonderful venue for new businesses to grow and to gain more feedback and client base with the products us roommates get to try. ❤️” 5. Any advice for your fellow roommates for their sampling journey? “Keep calm and take it one sample at a time! You’ll definitely find a lot of great finds in Sample Room! I’ve only been a member for maybe 3 months and I am in love with the company already.” True enough that having a supportive group of people around us can give us the strength to pursue our dreams and passions. They are the ones that push us to become better and step out of our comfort zone. Because they know that to live fully is not just about having a stable job or being with your family and friends, it is also about doing the things that make us happy and fulfilled. Know more about Thea’s latest posts and activities at www.drtheasigridsanchez.wordpress.com. You can also follow her at @thatssooothea on Instagram. You can also subscribe to her YouTube channel to see more of her beauty hauls and tutorials. --- Looking to be the next Roommate of the Month? Be active in our community and share your best Sample Room finds on your social media accounts with the hashtags #RoommateOfTheMonth, #SampleRoomSpotlight, and #SampleRoomPH. You might just be our next featured roommate!